Uppsala University was founded in 1477. The University Library’s collections of early printed books have, ever since the foundation of the library in the 1620s, grown through donations, purchase, war booty during the 17th century and Swedish legal deposits, in practice from the middle of the 18th century and onwards. The library’s collection of early prints includes a variety of material such as books dating back to the Medieval Ages, journals, newspapers, brochures and other ephemera. Among other things our library keeps around 30 Special Collections, e.g. the Copernicana and the Bodoni Collections. The Copernicana Collection contains works that have been owned or used by Nicolaus Copernicus, or have any other connection to the famous astronomer. The Bodoni Collection contains printed works produced by the renowned Italian printer Giambattista Bodoni from the 1760s onwards at the ducal court in Parma. 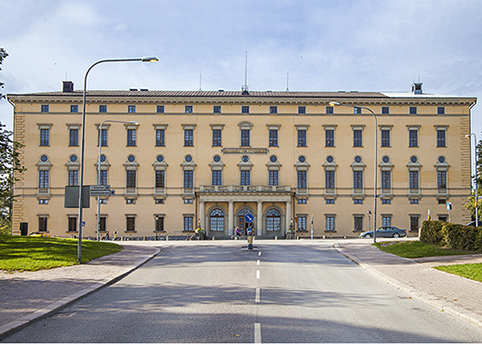 Uppsala University Library is a research library open to the public, providing information resources for research, teaching and learning at the University.